First post and new Blocs user. 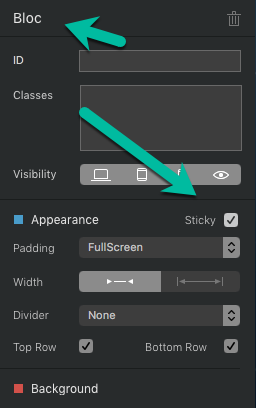 How do you put a navigation menu in the dynamic area? I’ve seen Blocs sites where the navigation menu seems not to be in the global area. I like how the background image shows under the navigation menu. I know I can probably begin with a hero bloc and modify it but I’d like to know how to do it from scratch. I searched the items in Drop Mode and didn’t see an option to add a navigation menu. 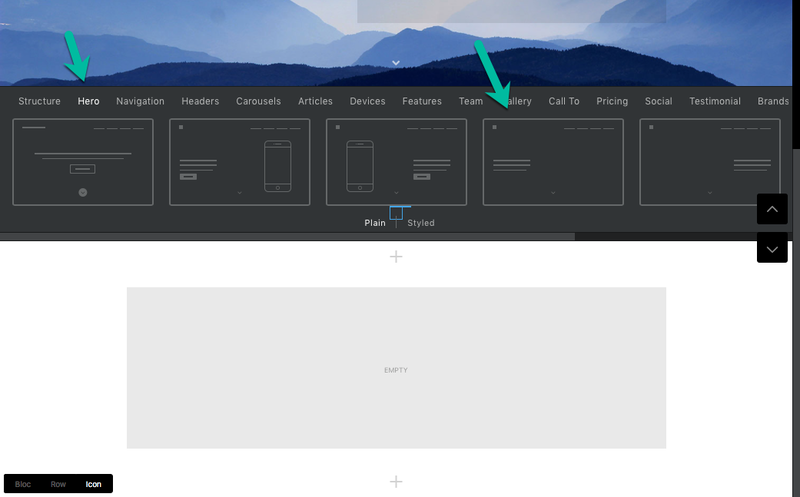 How do you make the navigation menu appear once the user begins scrolling down? There are a few steps to get to what you are looking for. 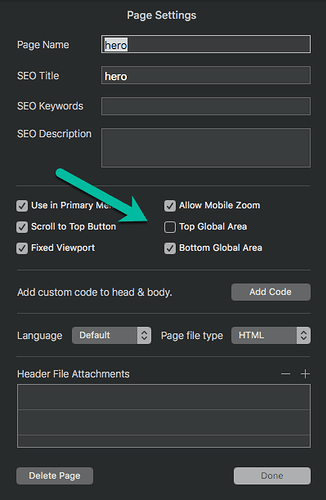 On the page, you want to use the navigation in the Dynamic area you need first to turn off the top global area. @teefers Got it! Thank you for the detailed explanation and the screenshots. I really appreciated. I was looking for exactly the same thing. Thank you very much teefers! Nice! I need that also.